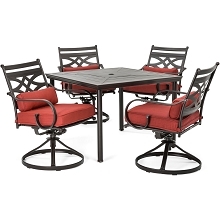 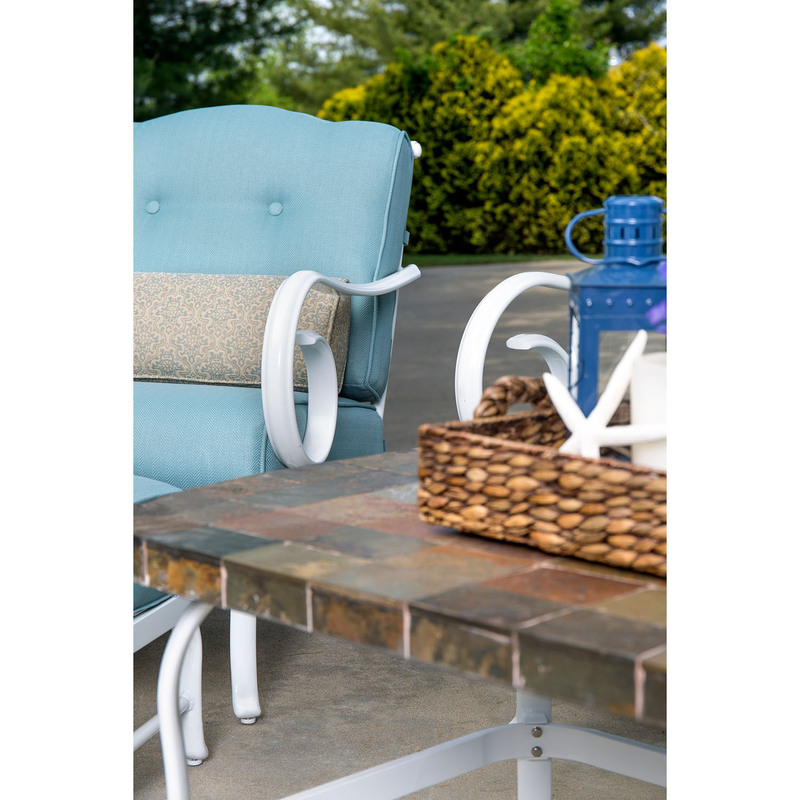 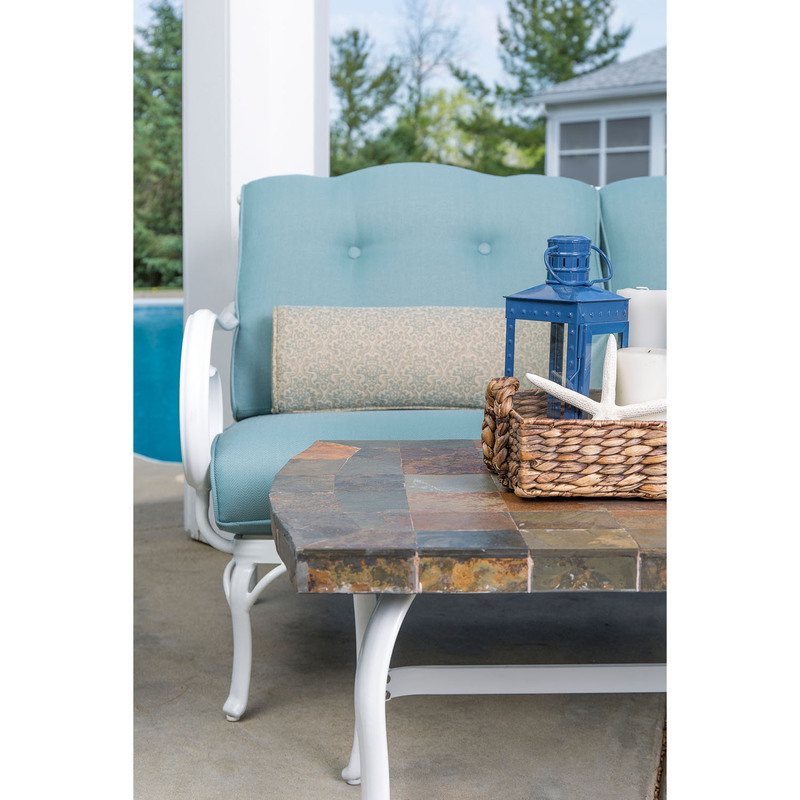 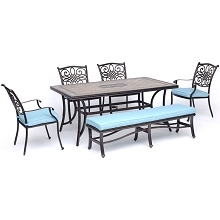 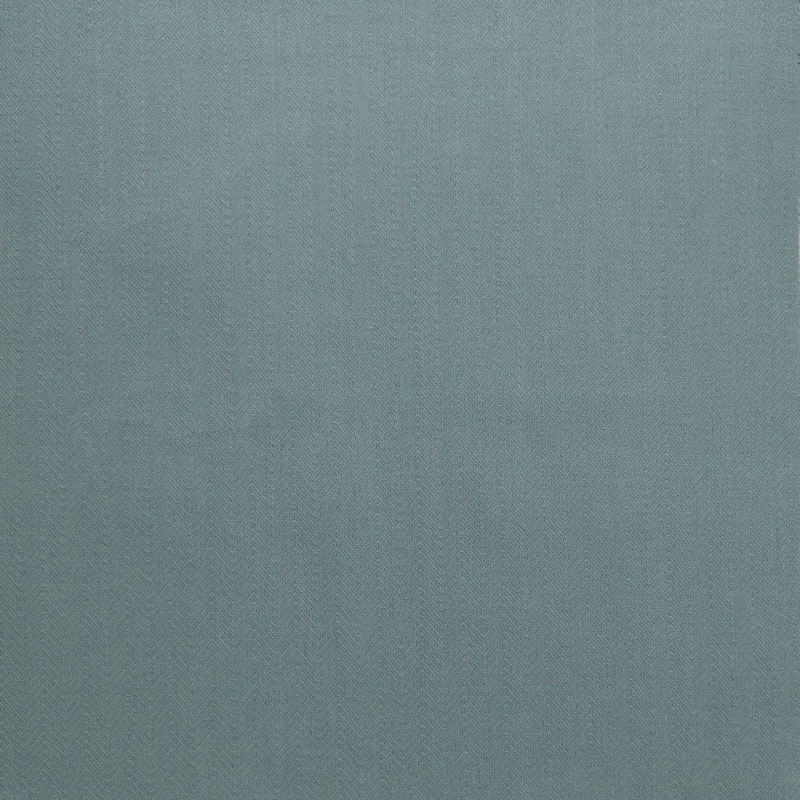 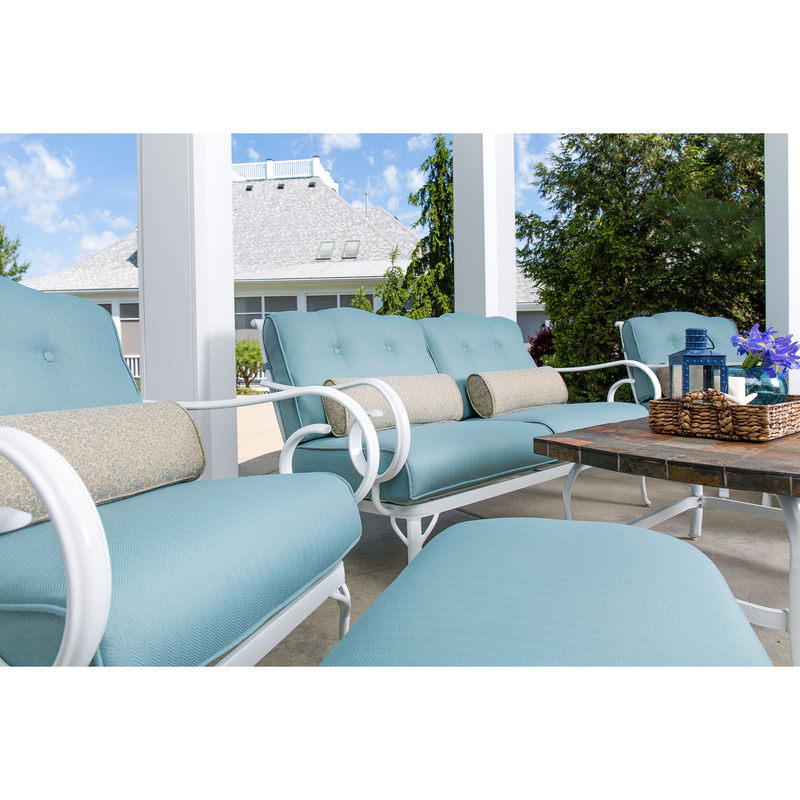 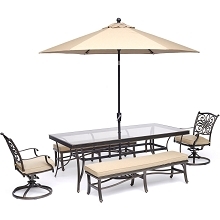 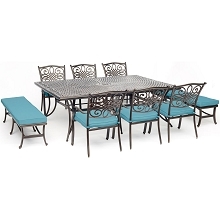 Ease into blissful comfort with the Oceana 6-piece patio seating set by Hanover. 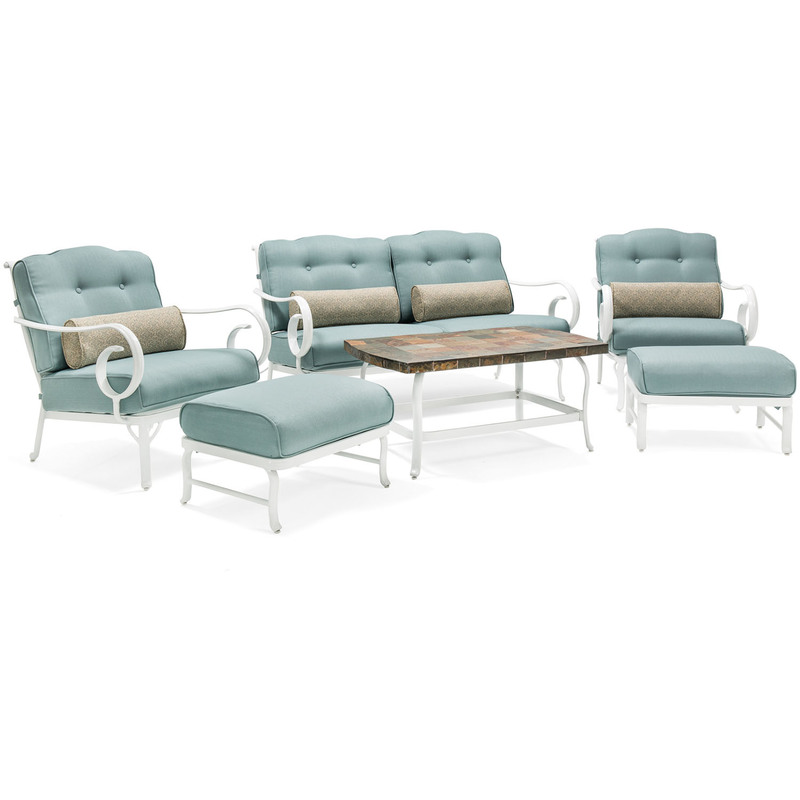 This collection includes a deep-seating loveseat, two matching armchairs, two cushioned ottomans, four lumbar pillows and a stone-top coffee table. 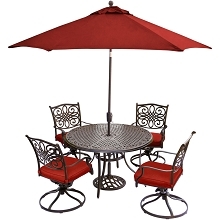 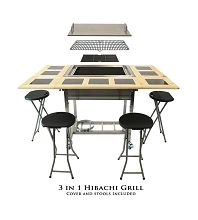 Perfect for areas of any size, this set offers a cozy venue for spending time with loved ones. 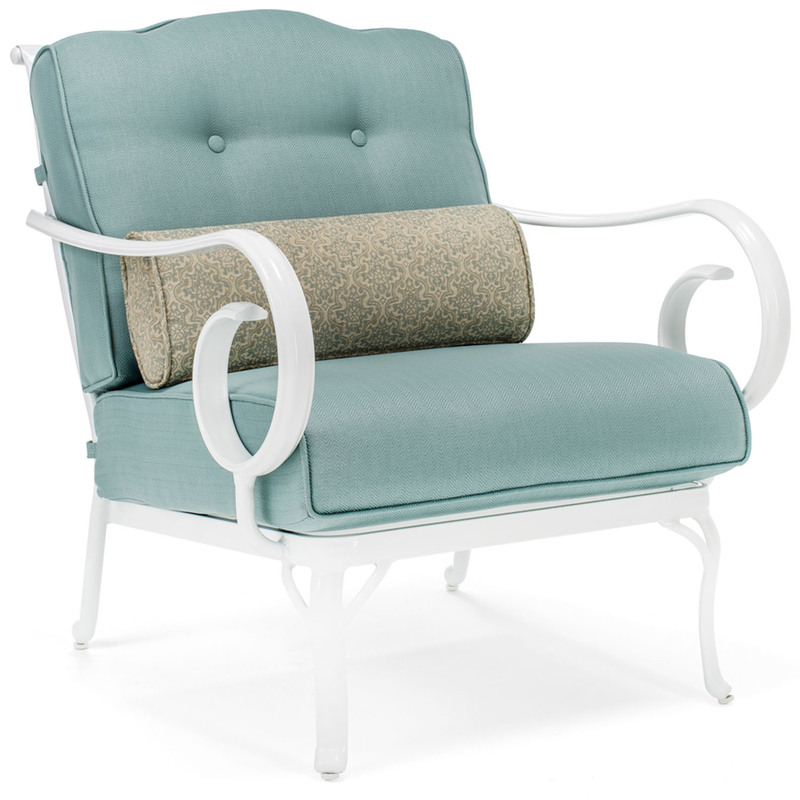 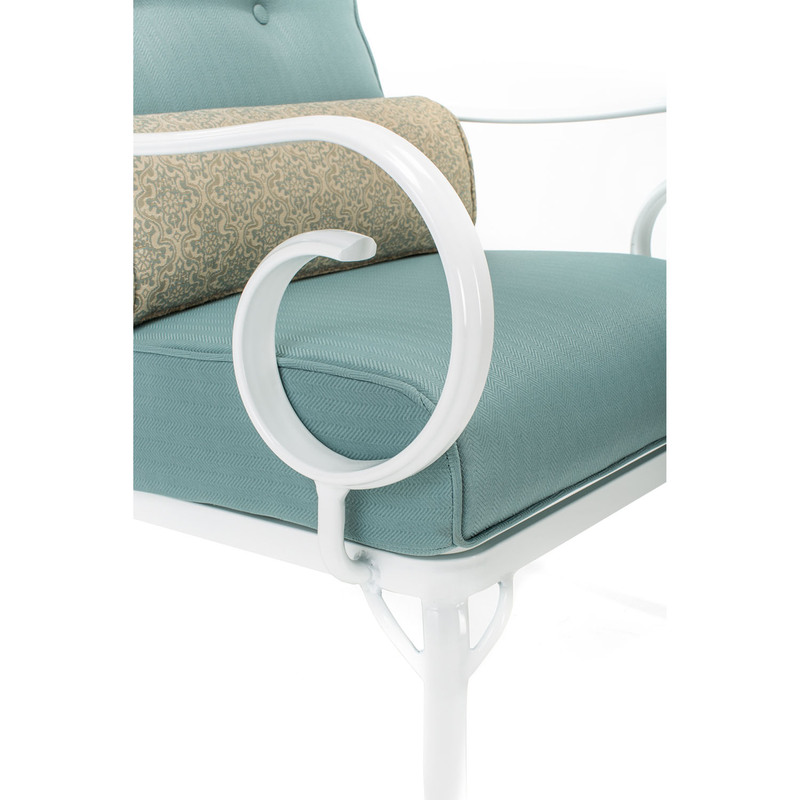 The all-weather aluminum frames are extruded from hand carved molds and cleanly finished with a protective white powdercoat. 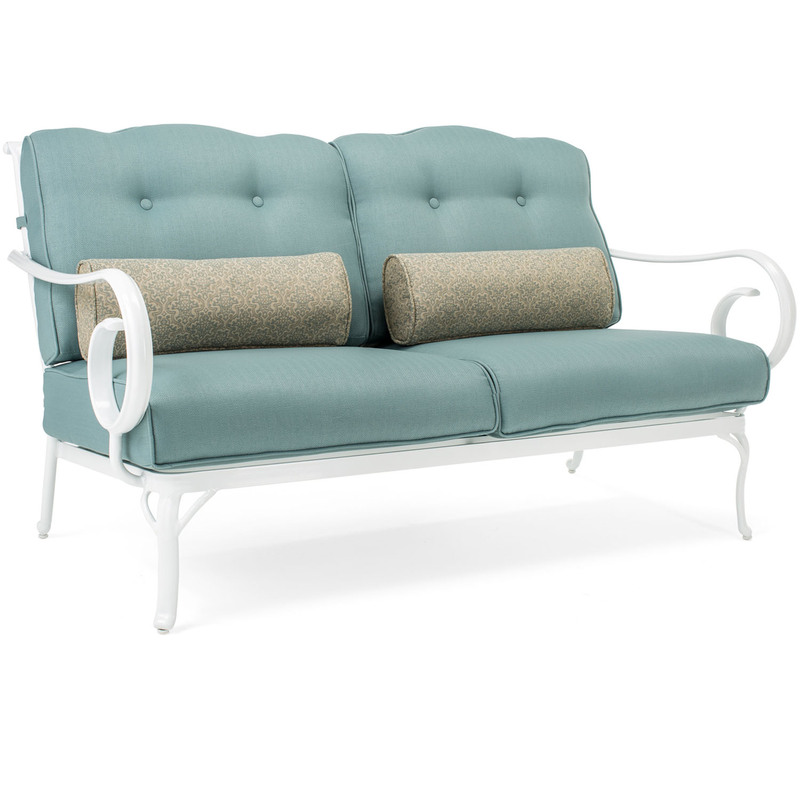 These white frames highlight the soft linen texture of the cushions and pillows, making it easy to stand out in any surrounding. 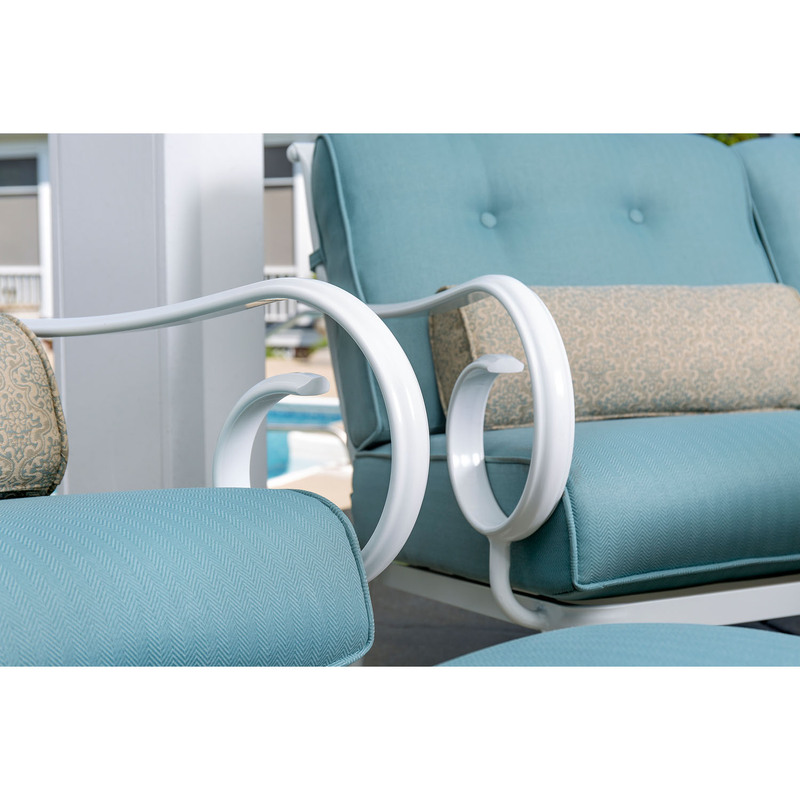 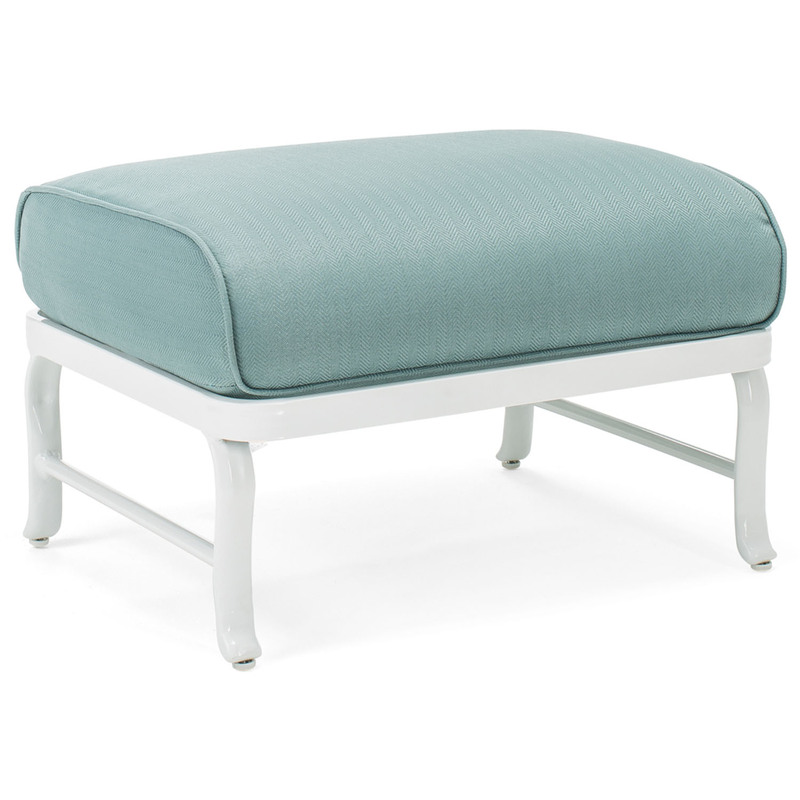 Each item is detailed with elegant swirled accents, vibrant fabric options and extra-plush cushioning that will sweep you away in total comfort. 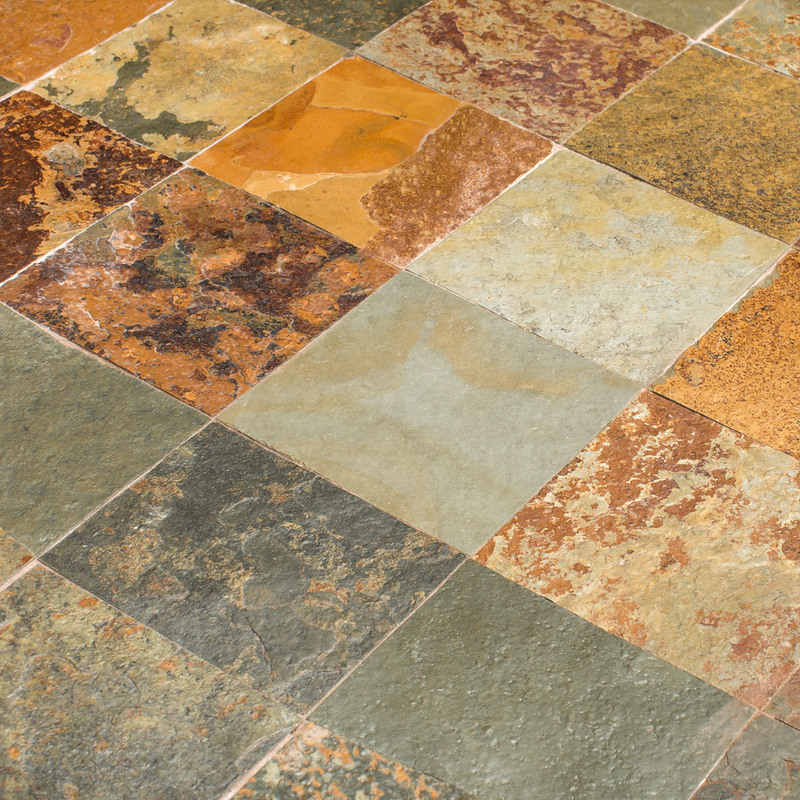 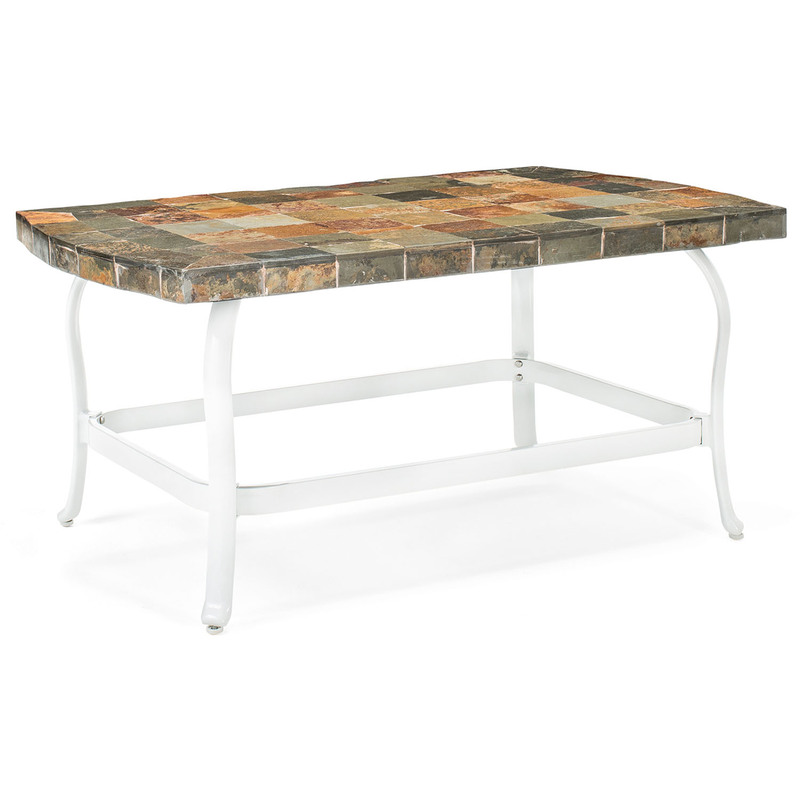 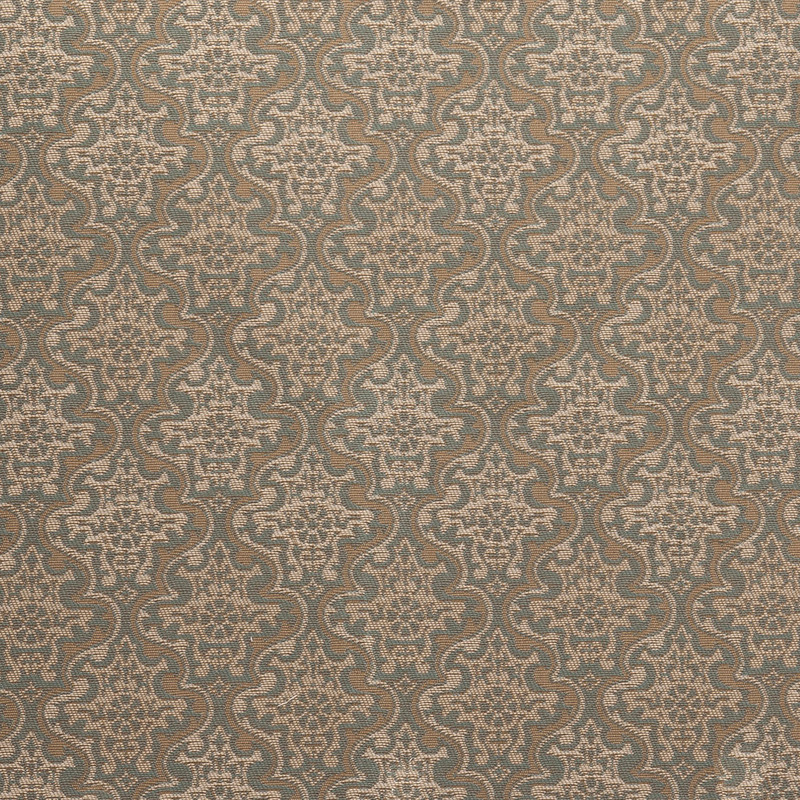 The coffee table is a functional and attractive centerpiece for the set, combining patterns of multi-color travertine slate to form a truly unique table top. 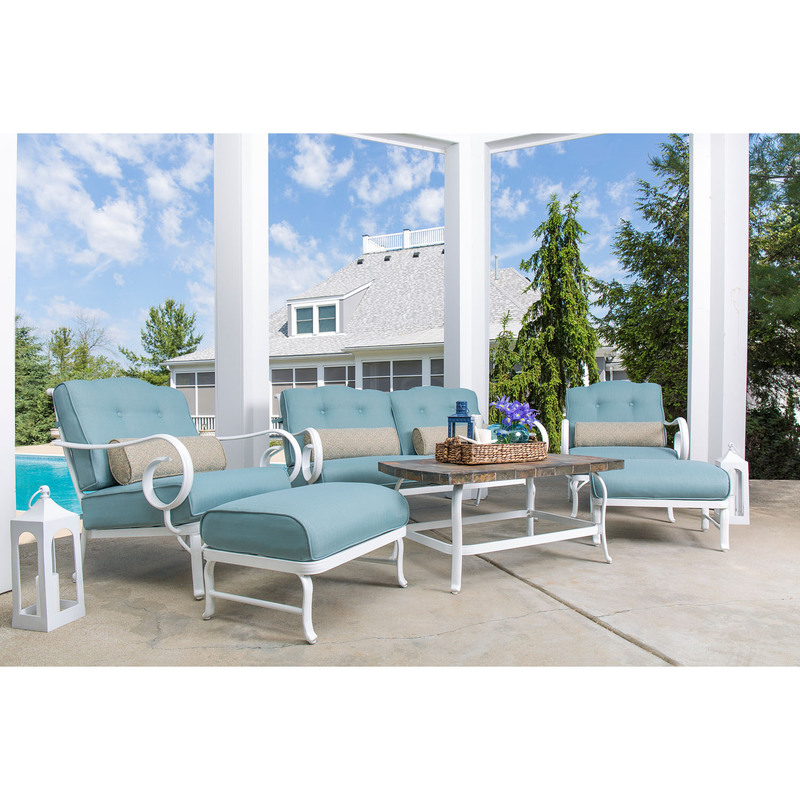 This set instantly creates a serene lounge space that family and guests can enjoy year after year.